I am a professional photographer valuing naturalness and emotions. Due to light painting, I see more, feel more intensely and experience deeply. It is said that instants evanesce in the blink of an eye, however, I rebut such a presumption trying to capture those unique, unexpected and enchanting moments. Photography is my passion and the way of life. I engage in my commissions fully and treat each one of them individually. There is no banal photography – each photo is unique having its own soul and message. During a photo shoot I’m trying to create nice and relaxing atmosphere that helps to increase naturalness, maintaining discretion and intimacy at the same time. Currently I live in Paris but I accept all the commisions and orders both from France and Poland. I would love to invite and encourage everyone to benefit from my experience and quaint ideas. I am also highly open to your suggestions and concepts which I will fulfill with passion and enthusiasm. 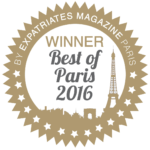 I am the Winner of the competition Best Wedding Photographer in Paris 2016 and Best Wedding Photographer in Paris 2017 by Expatriates Magazine. 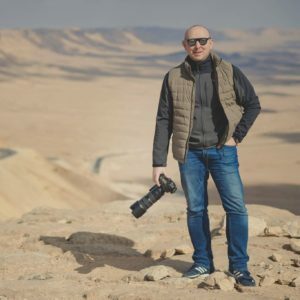 I also had a pleasure to participate in an individual training with one of the best wedding photographers Grzegorz Płaczek. I pay attention to the quality of my services. I work with professional NIKON equipment such as full frame cameras Nikon D4 and Nikon D810. Let me invite you to my world, the remarkable world of photography.